Spending too much time in the sun is a significant cause of ageing skin and can exacerbate many other skin condition, including scars, frown lines, age spots, crow’s feet, skin cancer and more. Exposing your skin to the sun will make the Melanin in the skin thicker and darker, which causes ageing pigment and premature ageing, especially on the darker skin (type 3 to 6). 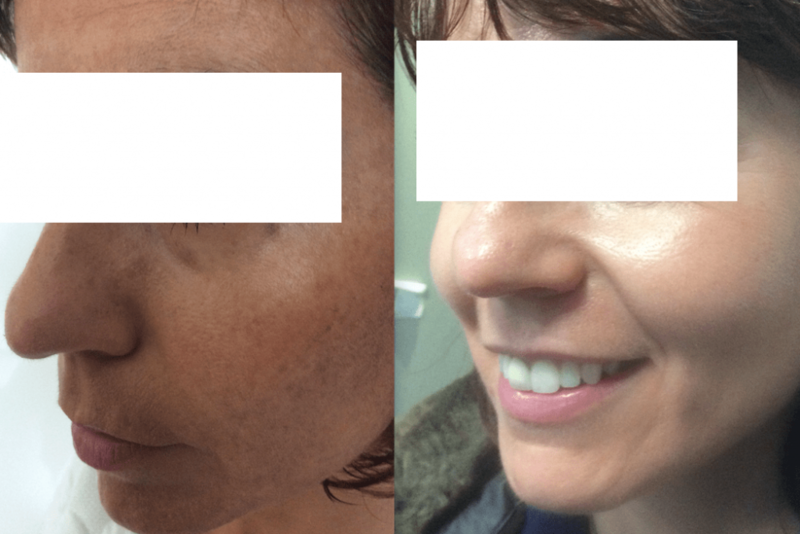 We have a wealth of expertise in treating sun damage and pigmentation. We approach each case with sensitivity and care. Using the latest laser technology, sometimes in combination with other treatments, we effectively treat sun damage and other skin disorders with amazing results. I feel particularly pleased that Shadi has asked for my contribution to her website. It had taken me years to finally find a clinic and a professional person that I could trust after having had two bad experiences of treatments in France where I was living for 18 years. I had had semi-permanent makeup on the eyebrows 10 year’s ago which did not fade at all and was almost black, I wanted this removed. Shadi immediately put me at my ease about the whole procedure and her approach is not only professional but also caring, for you as an individual – the person as a whole is taken into account. I had my first laser treatment for the removal of what was, I discovered, a permanent tattoo of my eyebrows. The effect was incredible and after about six weeks I went back for a second treatment. The transformation to the eyebrows is that the shape is still defined but they are altogether softer and I am extremely pleased with the results. I then went a stage further and decided to have the IPL treatment for the removal of my sun damage on the face. Having had an acid peel in France which left me with dreadful blisters for weeks. I felt 100% confident with Shadi using this machine on my skin. She explained the whole process thoroughly and I felt very relaxed. I also enjoyed the treatment as a stress buster and at last I was able to do something about the dreaded sun damage. 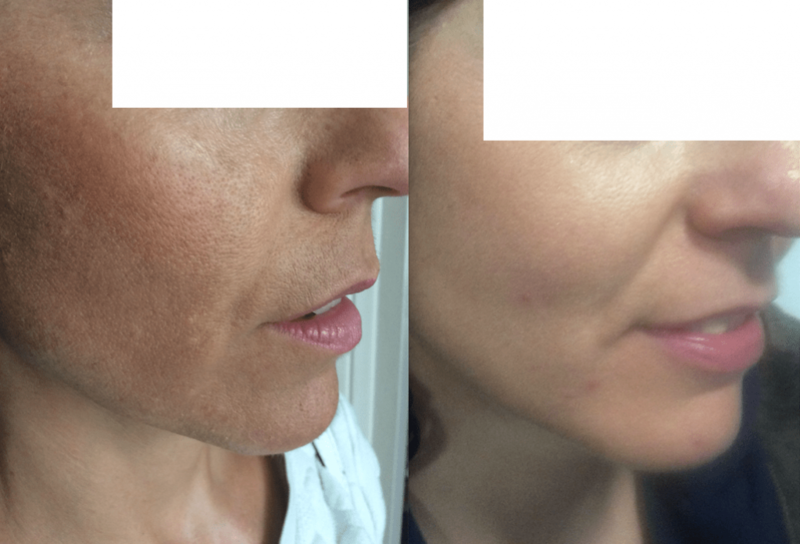 Within five days my skin was clear – I just couldn’t believe it. I have now booked myself in for a green peel and intend to carry on with the eyebrow treatment until I achieve, or should I rather say, Shadi achieves what she wants for me. I love going to the Shadi Danin; there is no pressure and yet you know you are being dealt with professionally. I will be treating myself to all sort of other procedures in the future and will be looking forward, as usual, to the whole experience. IPL – the skin will red, slightly sore, looks like sunburn, you will have a downtime of two to three days. Nonopore – slight red, slightly hot, the skin will peel within three days. Obagi – one week of slight redness and peeling and then from the 3rd week forward your skin will look absolutely amazing. Medical Peels – next day you will have a slight discomfort, your skin will peel from 24 hours to 48 hours. After treatment, always use sunblock.